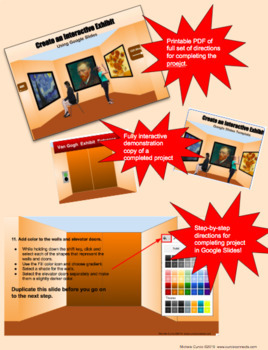 Use the enclosed template and the detailed step-by-step directions to create an interactive virtual exhibit in a room drawn in perspective! 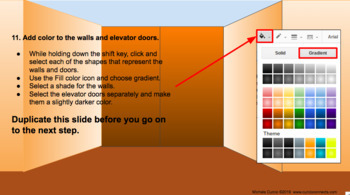 The final project includes creative features such as a virtual room for displaying hyperlinked images and elevator doors that open on demand! 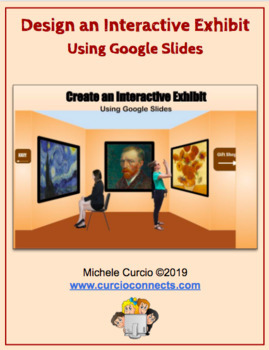 This is a great project for students to showcase information on a topic they have learned or even to share images and information they've taken of their own creations. 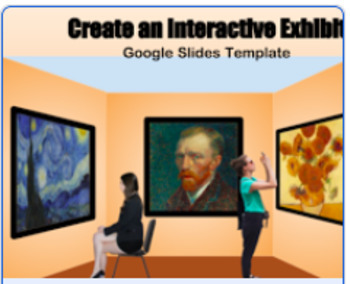 The uses for this project are limitless!